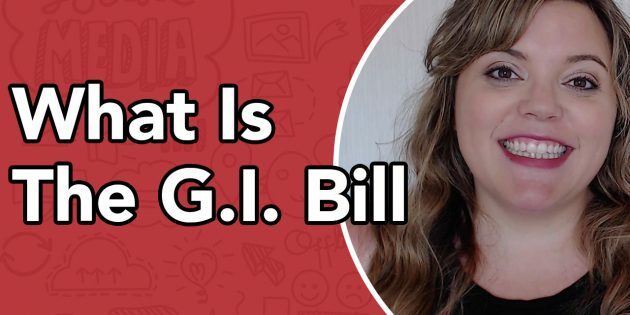 GI Bill 2.0 Explained – How To Get Free Education and Housing For Veterans – The Post-9/11 GI Bill is an education benefit program for service members and veterans who served on active duty on or after Sept.11, 2001. Benefits are payable for training pursued on or after Aug. 1, 2009. No payments can be made under this program for training pursued before that date. Veterans may also be eligible if they were honorably discharged from active duty for a service-connected disability after serving 30 continuous days after Sept. 10, 2001. Generally, service members or veterans may receive up to 36 months of entitlement under the Post-9/11 GI Bill. Eligibility for benefits expires 15 years from the last period of active duty of at least 90 consecutive days. If released for a service-connected disability after at least 30 days of continuous service, eligibility ends 15 years from when the member is released for the service-connected disability. If, on Aug.1, 2009, the service member or veteran is eligible for the Montgomery GI Bill; the Montgomery GI Bill – Selected Reserve; or the Reserve Educational Assistance Program, and qualifies for the Post-9/11 GI Bill, an irrevocable election must be made to receive benefits under the Post-9/11 GI Bill. In most instances, once the election to receive benefits under the Post-9/11 GI Bill is made, the individual will no longer be eligible to receive benefits under the relinquished program. The housing allowance is not payable to individuals on active duty and to those pursuing training at half time or less. Benefits may be used for any approved program offered by a school in the United States that is authorized to grant an associate (or higher) degree.